Can A Antenna Be Too Strong? Now that I have 4 way splitter connected before the tuner to reduce the signal. Will adding two more tuners on to the splitter add to signal loss? Or will the loss only be from the splitter and adding more tuners not effect the loss to of the original tuner? I'm not as concerned about overload now that the original WLNS transmitter is off the air, but I do want to know if the TV tuner does a better job than the HDHR tuner with the Lansing channels. 1. Are you using a preamp? 2. Is the coax grounded with a grounding block connected to the house electrical system ground? During the channel changes you will need to rescan and sometimes a transmitter will be running at reduced power for the safety of the antenna crew. Last edited by rabbit73; 07-29-2018 at 12:53 PM.. Yes and dont forget about ATSC performances on vhf?? I connected the antenna to the TV tuner and I still get the drop-outs like the HDHR tuner. 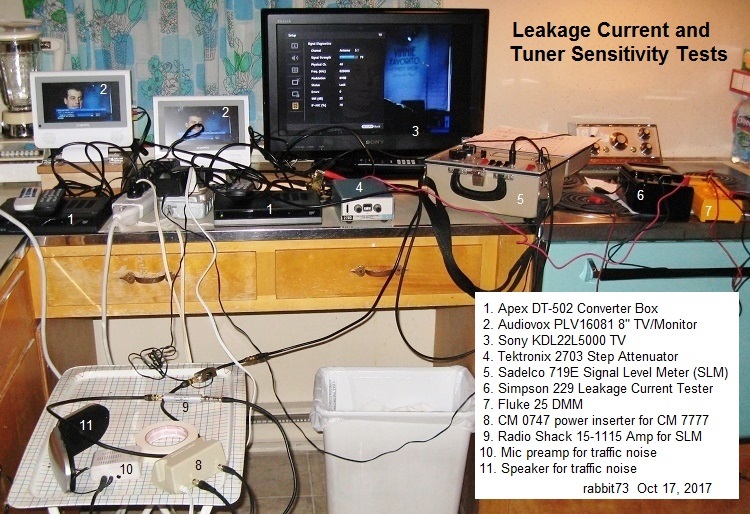 In fact I have three HDHR tuners and all three act the same with ether antenna pointed at WKAR. I have tried switching tuners and both of 91 type antennas. No the antenna is not grounded. WKAR is not running at reduced power anymore. Last edited by Redmed; 07-29-2018 at 05:45 PM..
As for grounding the antenna. I have not run a ground wire because of the expense and effort of running the ground wire all the way down the side of the house to a ground rod. My thought of how to ground the antenna. Your comment of bonding the ground with the house electrical system ground raises a question. Is it prudent to run a ground wire to the ground in a existing ground in a romex in the attic? This could be done much much more simply than running that 10 gauge wire around the outside of the house to bond with the existing ground rod. A concern that comes to mind with back feeding a lighting surge through the house wiring to the fuse box. I also have a whole house sure protector in the fuse box, how would it react if a surge came from the opposite direction than expected. Last edited by Hdb91xg; 07-30-2018 at 08:13 AM.. I connected the antenna to the TV tuner and I still get the drop-outs like the HDHR tuner. Thank you for making that test; it eliminates another possibility. Last edited by Hdb91xg; 07-30-2018 at 11:25 AM..
Again the problems signals are mixing at the antenna, adding loss after the signals are mixed will not do any thing. A lower gain antenna may or may-not fix the problems, (hard to tell without being there and having the proper equipment to test this) with signals as close in as you have a paper clip would work as an antenna. Last edited by Hdb91xg; 07-30-2018 at 08:10 AM.. I only include the NEC grounding guidelines to be complete. I'm not an electrician or a code expert. The local AHJ (Authority Having Jurisdiction) has the final say; his interpretation becomes the local law. The AHJ is usually the electrical inspector. You can do the grounding, or not; it's your decision. The purpose of grounding the mast is to drain any buildup of static charge to, in theory, reduce chances of a strike and to shunt any current to ground if a hot wire contacts the mast. The purpose of grounding the coax to the house electrical system ground is to eliminate any difference in potential between the coax shield and the house ground, to help reject electrical interference that might affect reception, and to shunt any leakage current to ground. The coax is connected to AC operated equipment, and all AC operated equipment has leakage current, even when operating properly. Grounding the coax will protect you from electrical shock if your AC operated equipment becomes defective; I consider it of primary importance. I am probably more concerned about leakage current than most people because I have had three close calls with electrical shock. 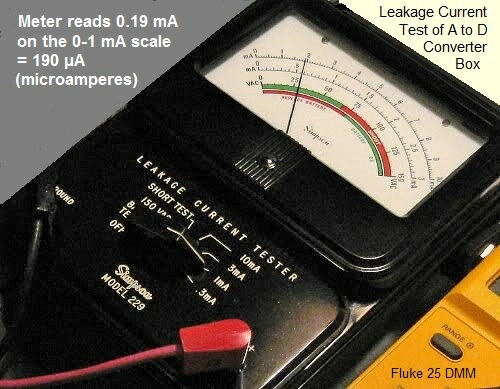 After the third incident, I bought a leakage current tester to check my equipment and any equipment that I would be giving to others. Last edited by rabbit73; 07-29-2018 at 08:00 PM.. It is grounded by the Rg6!!! IT'S ok it has a ground by the RG6 IT'S ok!!! Last edited by Hdb91xg; 07-29-2018 at 08:10 PM..
out of coat hangers, a 2x4 and a cookie cooling rack. It is in my attic feeding a tv in my bedroom. When pointing towards Detroit it pulls in WXYZ 48 miles away, from inside my attic! I don't remember which way it is pointing now but it pulls in WKAR just fine. WKAR is the station I'm having problems pulling in with my antenna's that are outside. I have made this antenna a least eight more times, for relatives, and not one of them pulls in as well as the first one I made. The first (and best) was made with old coat hangers. The other antennas I made to duplicate it where made with newer coat hangers that are a thinner gauge. I would like to remeasure the length of the whiskers of the good antenna but is in the low part of my attic and I don't want to crawl in there again. Plus in this case since it works I don't want to touch it. The ones you can buy! !KNOW let's get back too your receive problems? I connected the CM4228HD in the attic this morning and so far no drop-outs. This antenna receives much less than the 91XG and even the homemade one. Today seems to a good day for reception a couple channels I could not get on the other antenna are coming in today, so today's results may be better than a average day. Ahww as I was typing this I just had two short dropouts. I'm going to run on this antenna for a day or two to compare to the 91XG.